I wrote this book because I know too many people who are giving up! One discouraged friend said, "I can't do this Mormon thing. I've tried, and the expectations are just way too high." . . . I know returned missionaries who spent their entire missions teaching about the Atonement, but now they have made some mistakes and feel like the Atonement won't work for them. I know people who have gone to the temple to be sealed and then never returned. I know others who are feeling burned out in their callings. Too many Latter-day Saints feel like they will never measure up. I wanted to write something that will provide hope and motivation next time we or those we love are tempted to toss in the towel. I wanted to write something that would remind people why we do what we do and that it's worth it--not because of all we are earning, but because of all we are learning. Instead of just going through the motions, I wanted people to read this book and once again feel the emotions of discipleship. That's what they are missing. Whether the challenge is getting more out of the temple endowment or dealing with callings or juggling the many aspects of our lives and feeling like we are dropping too many balls, I wanted to provide a shot in the arm. I started writing The Continuous Atonement when I was serving as the bishop of a young single adult ward . . . I realized that there was an aspect of the Atonement they didn't get. They knew about how the Atonement could cleanse and console us, but they didn't grasp how it can transform us and how Christ offers us His enabling power however long that transformation process takes--even continuously. This book picks up that same theme and answers the question, "How?" "How do I apply the Atonement and feel it's transforming power on a continuous basis?" True conversion is not a onetime event, but a process that takes time. Most people accept that in theory, but we still beat ourselves up when we fall short. My message is "Be patient. You are doing better than you realize. Hang in there!" We are not paying our way into heaven. We're practicing for it! "I can't do this Mormon thing," a friend told Brad Wilcox. "I've tried, and the expectations are just way too high." And she's not alone in her thinking. Many people, as they feel themselves falling short of perfection, are tempted to quit trying. But are there only two options? Think of it this way: When a person is learning to play the piano, are the only two options performing at Carnegie Hall or quitting? Similarly, in mortality, are the only two choices being perfect or giving up? "No," writes Brad Wilcox. "Growth and development take time. Learning takes practice. Discipleship is a journey, and true conversion is a continuous process." In this hope-filled book, Brad shares his keen understanding and testimony of the Atonement of Jesus Christ as it relates to our own conversion. Conversion occurs, he says, "when we stop trying to earn heaven and start trying to learn it. . . As we take each little step to show faith, repent, make and live covenants, seek the Holy Ghost, and endure to the end, we are not paying our way into heaven. We are practicing for it." 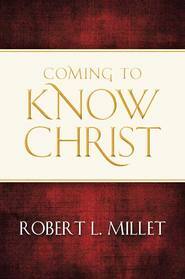 A must read to understand the doctrine of revelation. Very very well done and it just speaks volumes for what we can do as individuals to work on our own true conversion! It's so easy to read and understand. Super insightful and enlightening!! Loved it! Information is given to the readers with a lot of love and hope intermixed. Have you ever felt like you are just not perfect enough and it would be easier to just give up? I know that there are days when that thought has crossed my mind. In this world of of things that appear "perfect" on TV and in the movies, we may feel that we don't measure up. After reading The Continuous Conversion by Brad Wilcox, I felt like there is always hope for me and every other person out there. Right from the first chapter in this book entitled, Learning(Not Earning) Heaven, we learn that each day as we show faith, repent, make and live covenants, seek the Holy Ghost, and endure to the end, we are practicing to live in Heaven again, not earning our way there. Brad Wilcox uses such inspiring stories of real people to drive his point home. His storytelling is excellent. Another chapter, A Mighty Slow Change, teaches us that true conversion doesn't happen instantly, but is a continual process. Every choice that we make daily directs us on the path either towards Heaven or away from becoming a saint. One things about Brad Wilcox's writing is that it never feels dry or boring. He also writes in a way that doesn't make you feel like you are being beaten over the head with what you're doing wrong. The information is given to the readers with a lot of love and hope intermixed. 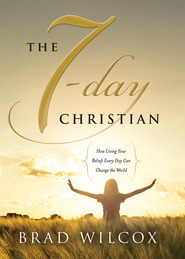 I recommend this book to all people who are looking to be encouraged and uplifted through their daily struggles. You will find answers to your life's challenges as you dwell on the teachings found in The Continuous Conversion. So many of us feel that we just don't measure up or can't make it into heaven. Mr. Wilcox addresses this very issue in his newest book The Continuous Conversion. "We aren't earning our way into heaven were are learning our way into heaven." The entire book is filled with the profound idea that we are making it there step by step and that the path to becoming a better person takes a gradual and continual progress over time. Conversion is not a fast or "on the surface" change, it is a deep rooted and little by little, day by day-- totally achievable goal. As a former missionary in Chile I could relate to his examples from the field there. My favorite stories were of him reaching to youth at EFY and prisoners who had and had not experienced conversion. Brother Wilcox has a deep love for others and his counsel is filled with compassion. Each chapter of The Continuous Conversion has a theme with so many hopeful point of doctrine to ponder. Temple worship, repentance, the names we are given and serving with zeal are some of the topics addressed. This book should and could be read more than once. Brother Wilcox really helped me look at things in a completely new light and I would love to hear this one in audio so we can listen to it again and again as these are lessons for everyone that make an impression on the soul. This is a great book! Others have already provided good reviews, so I'll just say my favorite chapter was the one on juggling priorities. Brother Wilcox just has a wonderful way with words and motivating us to be better. I have just finished The Continuous Conversion. I LOVE IT!!!! I don't know if I'm just riding the excitement of just recently reading it, but I think this one is even better than the Continuous Atonement. It is a call to change and become better. It has had such an influence. I think my favorite chapter is "Wide-Awake Discipleship." It has Brad's personality in it so much. I love some of the one liners that are a "wake-up call" to so many. I also liked the chapter on applying the Atonement. The idea of to know, to do, to become is not new, just like the Atonement and conversion aren't new either, but Brad has an ability to present ideas in a way that cause a complete paradigm shift. 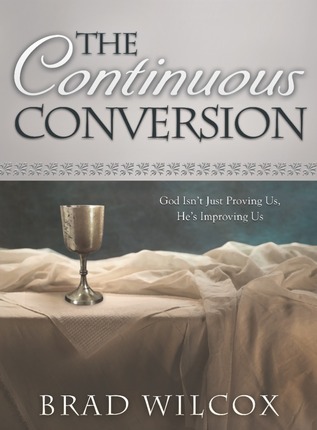 The best thing about The Continuous Conversion by Brad Wilcox is that it made me feel hopeful. As a recovering perfectionist, I am always battling the feeling that I will NEVER be good enough, that I can NEVER do enough and that I will NEVER get it quite right. This book reminded me that it may be true, but that it’s ok, because what really matters is that I continue to try. It is filled with words of encouragement, with wonderful analogies and stories that teach important gospel principles in easy-to-understand language. After reading this book, I came away with the comforting feeling that I really am good enough and I can keep improving forever. When I stop to examine my own live, I can see how this is true. Even in my own journey, I am farther ahead in some places than in others. The other thing I really loved about this book (and now I need to go and get his previous book The Continuous Atonement) is that it was one of the clearest explanations of how to apply the atonement in my life and how it really could help me on a continuous basis. That’s something I have always struggled with, not because I didn’t believe it, but because I really didn’t understand how to use it in my life. I didn’t understand how striving to keep my covenants and how TRYING to improve is applying the atonement in my life. This book did not disappoint. I really enjoyed it. It puts things into perspective, reminding us that we aren't expected to be perfect- that we're here to become better, and to continuously work on becoming closer to God- and that He is there to help us. I like that. Love the perspective in the book, and the way that it makes things clear that may have been foggy before, about the gospel. This is one of those books that needs to be read and then re-read over and over again. Packed with so much information and guidance it will help someone seeking to truly convert to the gospel of Jesus Christ...not only to the gospel, but convert to Jesus Christ. I love all the examples and stories within these pages. "We send missionaries to the Missionary Training Center, God has sent us to the Exaltation Training Center"
"True conversion is not instantaneous, it is continuous." "Some Latter-day Saints go through all the right motions without feeling any of the emotions. They settle for rule following instead of religion, for obedience and sacrifice instead of consecration, for testimony instead of conversion, and for cultural Mormonism instead of the soul-transforming fullness of the gospel of Jesus Christ. It is time for a little zeal with our knowledge." My very favorite section is where Brother Wilcox writes about "I'm afraid that when all the lessons on simplifying, prioritizing, and balancing are over I am left with only one option--juggling." And as we juggle all we have been asked to do, if we go about doing God's work, and continue on the path to conversion, He will let us know which balls to keep in the air and which balls to let drop to the ground. "The journey of conversion can seem daunting unless we remember that we are not alone." This is an excellent follow up of Brad Wilcox’s other book The Continuous Atonement. I love the powerful stories and examples that Brad shares in this book. They really touched me and helped bring me closer to Christ. Each chapter includes scriptures that I enjoyed looking up as well. The Continuous Conversion left me feeling uplifted and spiritually full. This is a must read and will also make a fantastic gift! One thing I love about Brad Wilcox's style is that he teaches solid gospel principles in such well-crafted phrases. His gift for analogy shines through again in this book, with relatable examples and many, many quotable statements that have found their way into my journal as reminders. I came away determined to be stronger in my commitments and longing to demonstrate my true conversion to my Father in Heaven. 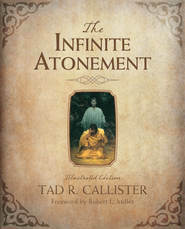 This was a wonderful follow-up to Brad Wilcox's Book the Continuous Atonement (The most accessible explanation of Christ's Atonement ever in my opinion- HIGHLY RECOMMENDED!). The first several chapters are slight repeats of His previous book, combined with his amazing address "His Grace is Sufficient". However, The final chapters were astounding new insights into ways that we can truly become converted! He gives amazing insights that have (to my knowledge) remained unelaborated by gospel writers focusing toward the average LDS reader.Temple insights, connections between ritual and doctrine, callings and conversion all make this book a great read. There are many, like myself, that struggle turning their devotion into deeds without feeling like we don't measure up. Like Brother Wilcox observes, the gospel message often falls on "discouraged" ears. This book will lend perspective that helps us find power in the truly powerful aspects of our worship-- the Atonement, covenants and temple worship. Enjoy! A beautiful companion to the Continuous Atonement! I loved the idea of the bread and water on the two covers. Very symbolic. Every page of this new book provided great insight. It helped me understand grace, the Atonement, and the Gospel in new ways. Each chapter was meaningful because they dealt with real issues and things we encounter daily in our lives. The stories and examples shared were relatable and moving. As always Brad Wilcox's books are hopeful and inspiring. He has a way of motivating me to try harder rather than feeling guilty about not doing enough. I loved the understanding that came from his simple analogies and honest approach. He has a gift for sharing his knowledge in a way that makes sense and doesn't get boring.